I love green, but I also love blue. Fortunately they are two colors that play well together because I am combining both colors together throughout our new home. 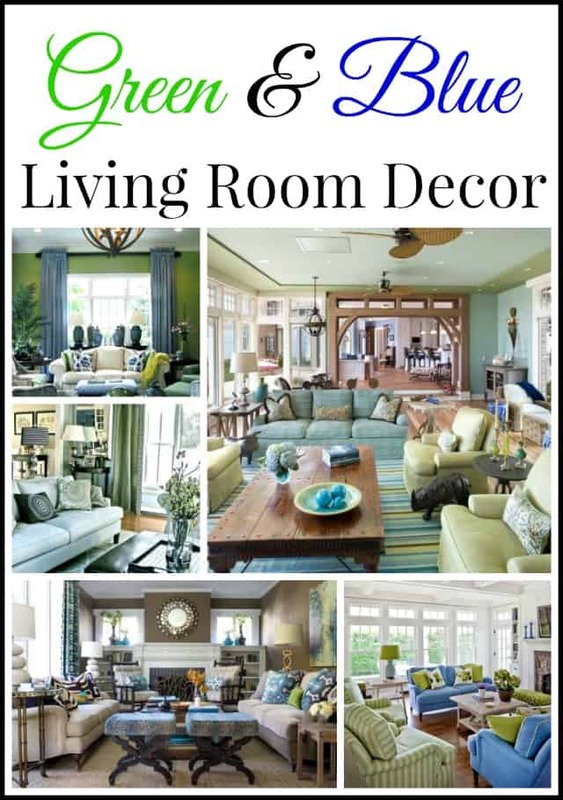 Here are 5 ideas to inspire you to use green and blue together in your living room decor. 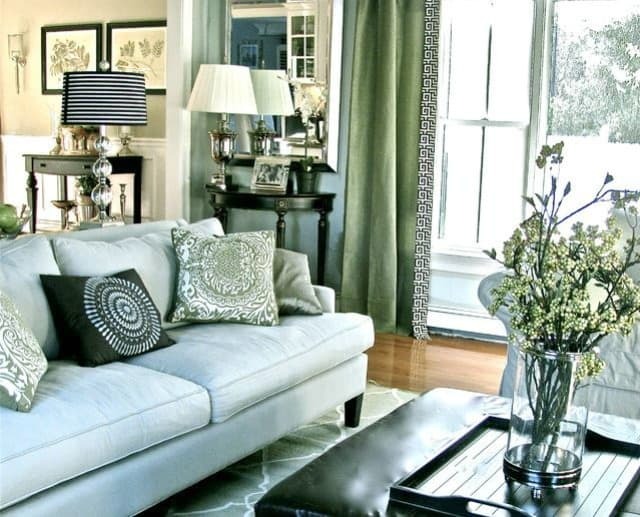 This pretty living room has traditional furnishings, but modern fabrics and on trend lighting give it an up to date look. Softer shades of blue and green work equally well together. 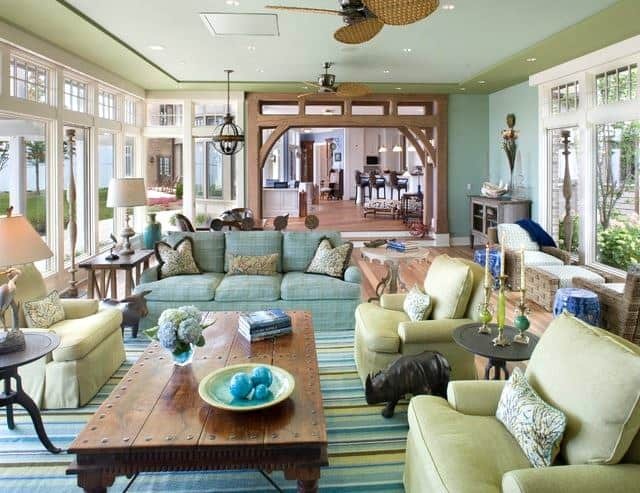 If you love beach style or nautical decor, then decorating with blue and green and is an easy jumping off point. Here’s one take on it. 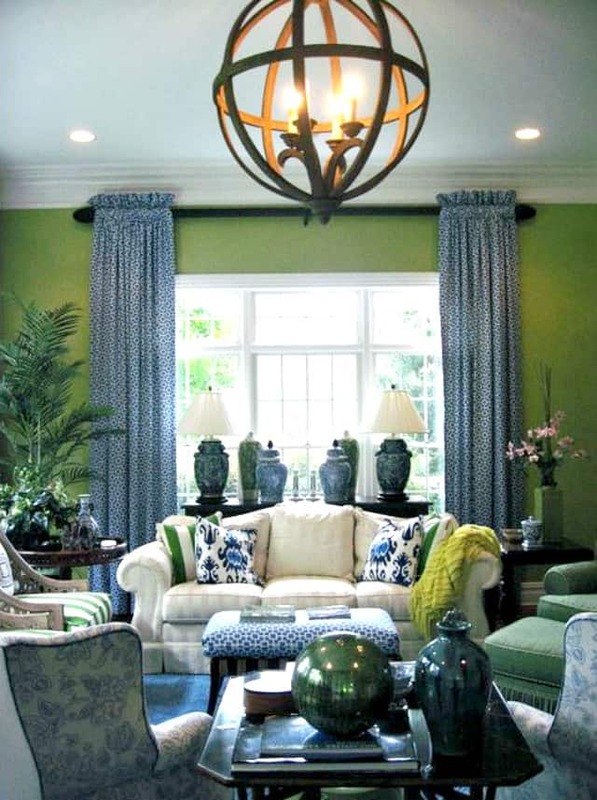 Green and blue don’t have to be the predominant colors in the room. These two colors work well as accent colors too. Want to see where I’ve already used this color combination at my own house? Check out what I did in my master bath. What Did I Do With That Nook In My Master Bath? Before you go, have you entered the giveaway yet? 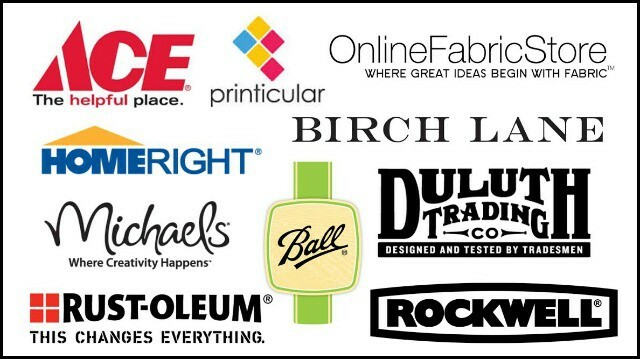 Several bloggers and myself are celebrating St. Patrick’s Day with a prize package valued at $500! Click HERE to enter. 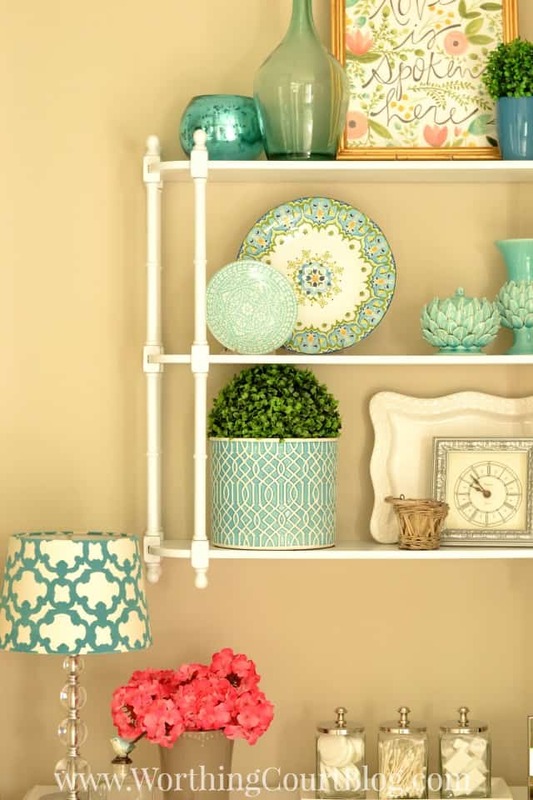 How about you – is green and blue a color combo that you love too? Great inspiration photos! It’s a great color combo and that little nook in your bathroom is simply beautiful! I typically do not like greens but those look so well together with the blues!! Hi Suzy, super inspiration. I was wondering if you are going to ever do your Snooping posts again?